Coming home to Colorado and introducing Digital PTO to our own community was an absolutely fantastic experience this week. 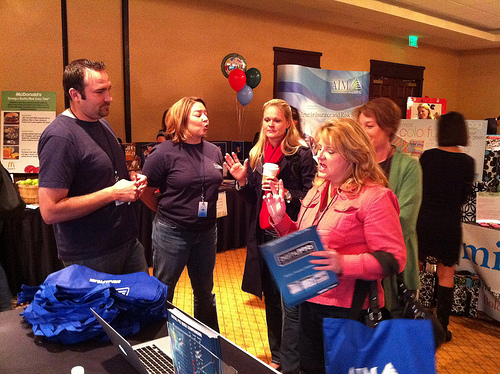 We were overwhelmed with the excitement and the entire Digital PTO team was busy talking with schools all day. 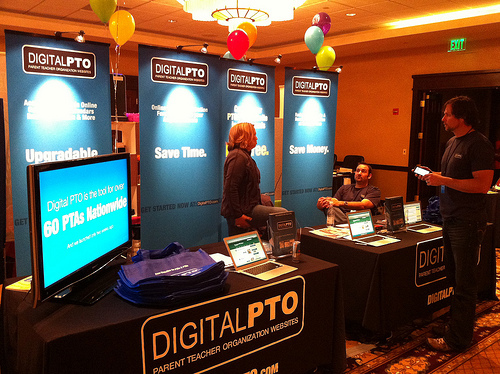 We are proud to announce that we now have 75 PTAs and PTOs using Digital PTO in just 11 days! 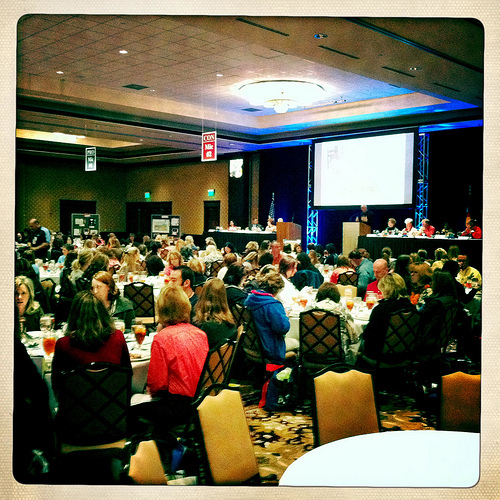 We were awarded the “Silver Sponsor” Award at the Colorado PTA awards lunch and look forward to many more years of support of the Colorado PTA. One of the primary topics that came up over and over in Colorado was the concept that many of the PTAs are using the “free district” website space and have little to no control over their data, the timing of publication and the overall experience. PTA after PTA discovered that Digital PTO can allow them to break the chain between them and the disctict run website and take their communication to a whole new level. PTA Presidents and board members were amazed at the “30 seconds to publish News” demonstration. Especially the PTAs that do not have direct control over their current websites. 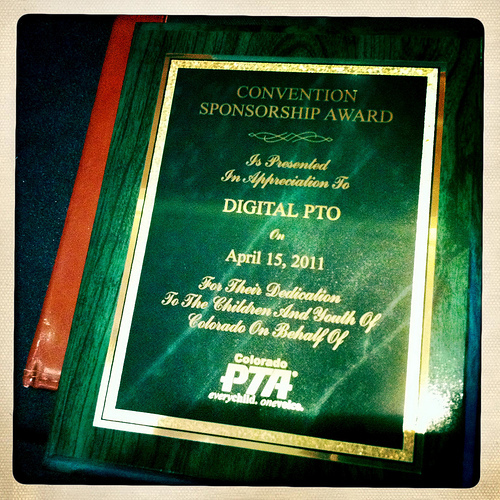 We received quite a few questions about whether Digital PTO can work with the “Connecting Friends” program that the Colorado PTA suggests for member management. While we do not have a concrete answer at this point, we do know that it is possible, we’re just not sure the exact steps yet. We will of course keep everyone posted as we learn more. 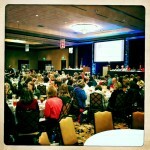 The Digital PTO staff would like to extend our most sincere thank you to the Colorado PTA and all of the attendees. 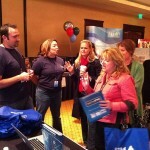 We had a blast speaking with you all and can not wait to see you all online with your new PTA websites! Thank you so much for the incredible outpouring of support and excitement. We are so excited to help the nations PTAs and PTOs grow and serve their communities and schools even better. Off to San Francisco on Monday for the next Expo. 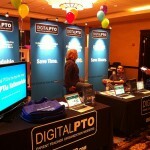 Anyone headed to the “PTO Today” Expo in Pleasanton? Stop by and see us! 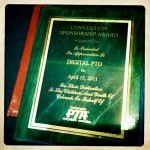 «Digital PTO was a hit in New York!